A group of protestors gather on the steps of the State Capitol in Downtown Atlanta. The rally was one of several held nationwide, organized by a group called the National Coalition of Patriotic Americans. Carols Torres Fletcher stood out among a group of mostly white men. He filmed with an iPhone and wore a neckerchief with the text of the Second Amendment printed on it. He says he immigrated from Venezuela in 1985. “And I know what a police state is and you don’t wanna know that.” He says he came to the Georgia rally to defend the Bill of Rights. “And the Second Amendment is the warranty of the Bill of Rights. Because states do not protect people,” he said. Fletcher calls himself blessed to be a U.S. citizen, and an activist for gun rights. 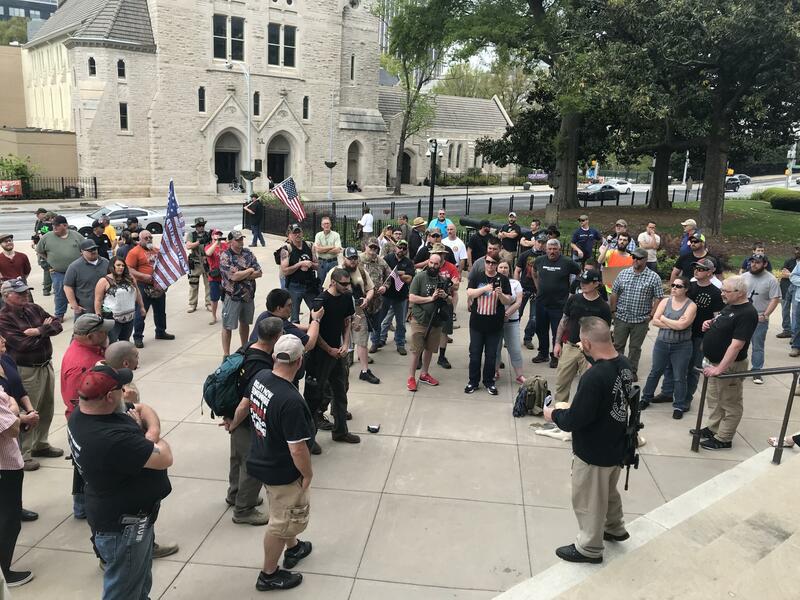 Georgia’s major gun rights organizations did not endorse the rally.